Unless you’re into car customisation and street racing, you probably haven’t thought much about your tyres. Most cars on Australia’s roads come with all-season tyres that do well in most conditions, and the majority of drivers don’t need much more. Because most of us never swap our tyres for anything but a generalised set, we don’t know what sort of performance gains we can get with specialty tyres. Below, you’ll find out everything you should know about purchasing specialty rims and tyres. Every vehicle takes a specific tyre size that’s based on the size of the wheel well and the rim. However, most cars and utes allow you to size up slightly, even if you have to buy new wheels and tyres to do it. For a ute or a 4WD, upgrading to larger wheels will lift the vehicle, giving it additional clearance on rough terrain. If you routinely drive on rough roads, you may want similar benefits for your car. Other than upsizing, plus-sizing is another consideration to make. Here, you’ll buy tyres that are the same height as the old set, but with shorter sidewalls. Plus-sizing increases the tyres’ overall performance, and wider tyres provide more road grip and traction. However, reaction time may be decreased, as may the ability to make sharp turns. Generally, anything making a vehicle lighter makes it perform better, and light wheels are no exception. A light set of wheels responds to the road better, providing you with a fast reaction time and better handling. With lighter rims, you’ll be able to turn more accurately and have control over your car even at a high speed. Even the tyres’ weight may affect performance. Softer, lighter rubber grips the road more thoroughly and offers better traction, while heavier, stronger rubber doesn’t grip as well, but it will be more durable at high speeds. If you have a weekend vehicle that’s just for fun, choose wheels that are stiff and lightweight. However, if you need all-around performance, choose sturdy tyres with soft rubber. Thicker, highly grooved treads may improve tyre performance. They cut through water, mud, gravel, and sand easily. However, thinner treads may improve tyre speed. Other than thinking about how the tread depth and pattern affect a vehicle’s performance, you should also think about aesthetics. Some drivers like the appearance of thick, intricate tread patterns, but those with sporty vehicles may want a streamlined look. Rims and wheels aren’t the same thing. The rim is the wheel’s outer edge, but the wheel is the part on which tyres are mounted. The rim might be included in the wheels you buy, or it may be an extra piece that mounts on the wheel’s edge. 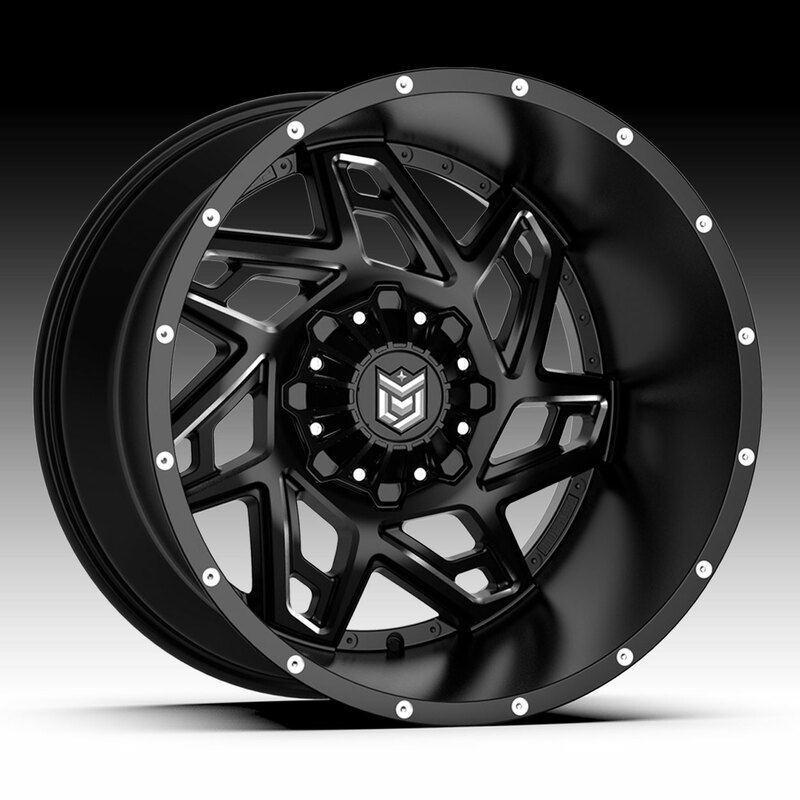 Custom rims are primarily intended to enhance the appearance of your wheels. Rather than going with the plain OEM hubcaps, you can choose from a vast selection of designs and finishes. For instance, rims may be made of polished chrome for a stylish look, or a matte aluminium that focuses on function. Rims may include spokes in various numbers and arrangements. Whilst you may not believe that spokes affect the way your wheels look, the design and spacing of the spokes has a substantial aesthetic effect. Some customised rims combine functionality and flashy design. For instance, spinning rims are still quite popular. The rim moves independently of the rest of the wheel, catching the eye by creating motion. Other custom rims include spikes, lights, and additional accessories. When buying new rims, tyres, or wheels, you’ll need to strike a balance between your driving needs, your budget, and your preferred appearance. You can’t just purchase the wheels and tyres that look best on your vehicle, as they may inhibit its performance or draw unwanted attention. 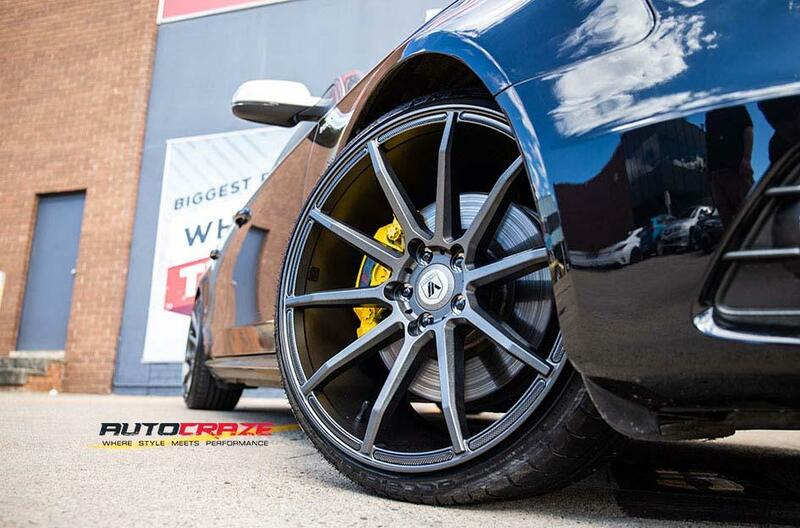 Discuss your tyre and wheel options with the experts at AutoCraze to determine the right choice for your vehicle. 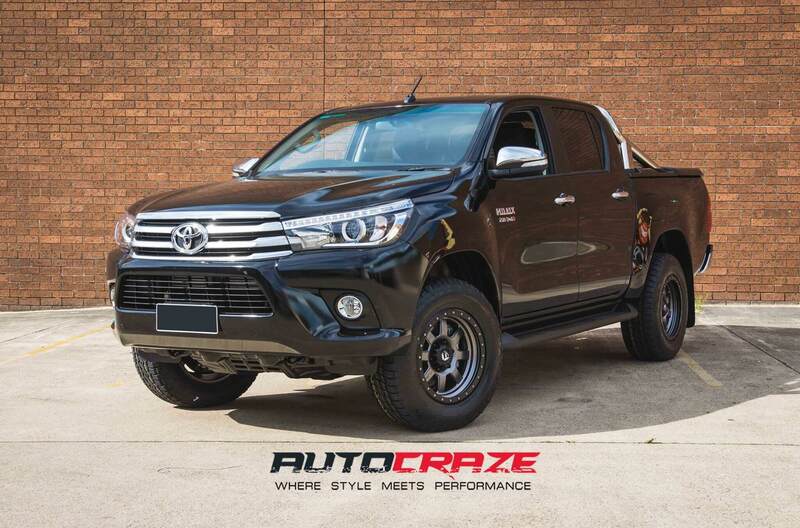 At AutoCraze, the entire team prides itself on having the largest selection of wheels and tyres in Australia. We offer everything from all-terrain tyres for 4WDs to high-performance tyres for sports cars. Everything we sell is warranty-backed, so you can rest assured that your choice will be around for a long time. Because of the variety of products we carry, you’re sure to find the right tyres at a great price. With our help, you can surely fit a new set of tyres into the budget, and you’ll find it easier to make the vehicle upgrades you really want. This entry was posted in Other News and tagged Tyres, Tyres and Wheels Buyer Guide, Wheels. Bookmark the permalink.